Hotel Comfort Inn & Suites, Red Oak, United States of America - Lowest Rate Guaranteed! 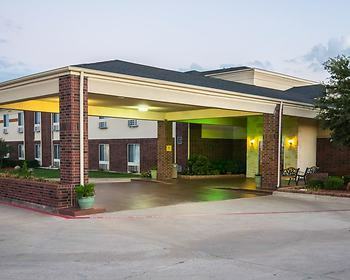 With a stay at Comfort Inn & Suites, you'll be centrally located in Red Oak, 15 mi (24.1 km) from Dallas Zoo and 17.4 mi (28.1 km) from Reunion Tower. This motel is 17.6 mi (28.4 km) from Kay Bailey Hutchison Convention Center and 18.4 mi (29.6 km) from Sixth Floor Museum. Service was great, very helpfull with everything. I had a back ache the whole time I was there because of the mattress. The clean room and the friendly and informative staff. The proximity to the place I wanted to visit. Comfortable, clean rooms. Friendly and helpful staff. Good variety of breakfast items.